One of the Duke of Wellington's officers once remarked, "We would rather see his long nose in the sight than a reinforcement of ten thousand men. Unfortunately, due to sales rights restrictions, we cannot offer Wellington for sale in your country. One of the Duke of Wellington's officers once remarked, "We would rather see his long nose in the sight than a reinforcement of ten thousand men." Arthur Wellesley, first duke of Wellington (1769-1852), was one of the greatest military commanders in history and is best known as the successful opponent at Waterloo of arguably the leading general of all time, Napoleon Bonaparte. Although Waterloo is the battle most associated with Wellington, his career was much wider. He gained his first military experience in the Netherlands in 1793-94 in an unsuccessful campaign that taught him, as he said,"how not to do it." From there he went to India, where he conducted a number of successful campaigns and honed his military skills until he became Britain's leading general. With great strategic foresight and as master not only of the battlefield but also of organization and logistics, he helped expel the French from Spain and Portugal during the Peninsular War, which materially weakened Napoleon's strategic position and led to his downfall in 1814. After Napoleon returned from exile in 1815, Wellington was a principal leader of the coalition forces at Waterloo. In subsequent years, Wellington exerted a considerable influence on British politics, serving as prime minister and in later life as a trusted elder statesman. Upon his death, he was widely regarded as the greatest Briton of his generation and undisputedly one of the greatest British soldiers. 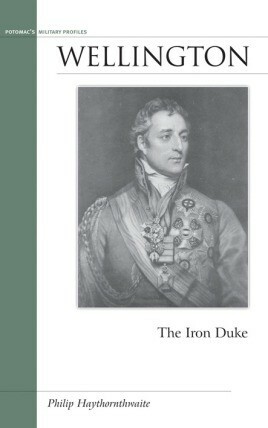 The Duke of Wellington has been the subject of many biographies over the years but none as comprehensive yet concise as this latest addition to Potomac's Military Profiles series.